Rogue Amoeba、Mac App Storeからオーディオレコーダーアプリ「Piezo」を撤退。 | AAPL Ch. 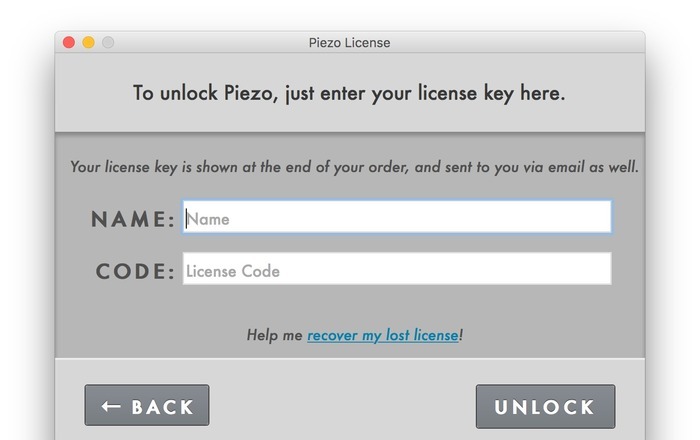 We know users may have questions about our decision to stop selling Piezo through the Mac App Store. Please read on if you’re interested in more details on this change. A major reason for the initial creation of Piezo was our desire to allow recording from other applications on the Mac within the limits of what Apple’s Mac App Store rules allowed. We were pleased to provide audio capture to customers of the Mac App Store, and for a time, things worked just fine. However, Apple eventually changed the rules, requiring that all applications distributed through the Mac App Store be sandboxed. The Mac App Store itself also has some serious problems. Others have covered these issues in-depth over the past few years. Rich Siegel of Bare Bones Software gave a powerful overview of many of the problems developers face when selling in the Mac App Store in his 2014 Max Q presentation.